School’s out for the holidays, and Mike and Sulley are hoping to spend the season on your Christmas tree! 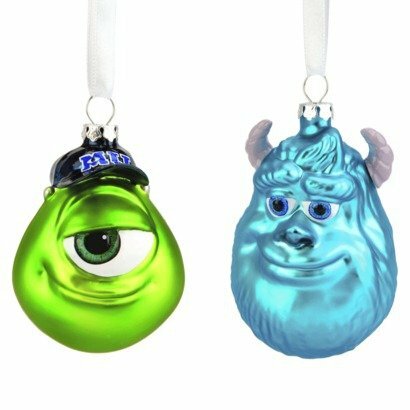 The 2-Piece Sulley & Mike Ornament Set includes a pair of quality, colored glass ornaments featuring Mike and Sulley from Pixar’s Monsters University. A perfect gift for kids or Disney Pixar fans, these fun Christmas ornaments are a great way to add some color and whimsy to your tree.